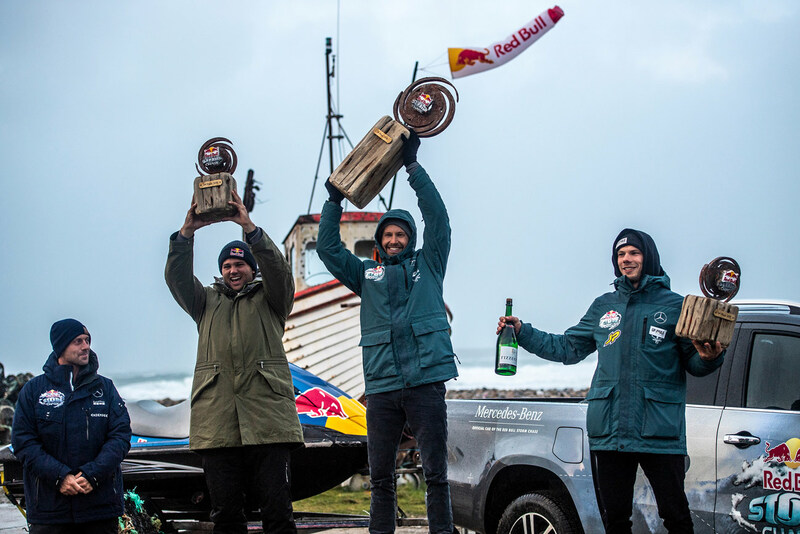 On March 12, 2019 Jaeger Stone won the Red Bull Storm Chase. Magheraroarty Beach in Ireland was the place to be as wind speeds of 121 kph and eight metre waves battered the Irish coast. The Australien, who never saw falling snow before live, was the rider who showed the best overall performance. In the official press release it was stated that Jaeger’s multiple solid wave rides and jumps, along with a biggest wave hit bonus, sealed the deal. We caught up with Jaeger Stone to speak about his cold water experience, the difficult moments, his personal limits, the preparation etc. Continentseven: Big congrats winning the RBSC! Did you already realize what happened in the 4 days in Ireland? Jaeger Stone: It still definitely feels a little surreal. It’s so cool and I’m really happy to win the event in front of so many incredible windsurfers in absolutely mental conditions. I think it’ll take a few days for it all to settle in. It has been a roller coaster. Continentseven: How did you physically feel after the event? Jaeger: On the day after the competition I was very tired! My eyes hurt just to keep them open and my muscles were little bit sore from some big wipeouts, but the adrenaline balanced it out a bit. Continentseven: On Instagram you wrote. „I’ve loved every minute of it.“ But for sure there were difficult moments. What was the hardest part for you? Jaeger: Yeah, some moments were incredibly difficult. Before I came over to Ireland one of my biggest concerns was going to be how I handled the cold. I spoke to a few of my mates and basically said I wasn’t sure if I would be able to move or how I would react as it’s so different to anything I know. That was definitely a massive challenge. Temperatures were basically fluctuating between 0.5° – 4° degree on the first day and the pain you experience in your hands is intense. Everyone is so tough over here! 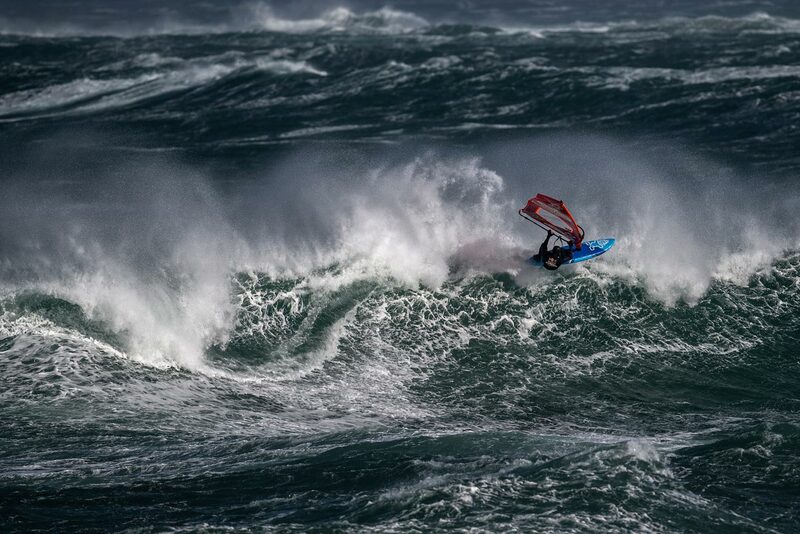 Continentseven: Was there a moment you were scared to windsurf in these extreme conditions with big waves, super strong current, wind and snowfall? Jaeger: Plenty of moments. I think in those conditions I’m always a little scared or nervous about what could happen and what I could do. It’s similar when I’m sailing big Margaret River or a super windy day at home in Geraldton. I get nervous but as long as I want to be there and I’m confident in my ability and fitness I feel like I still find enjoyment. I think on the final afternoon the conditions were pretty close to my limit though. It’s one thing to sail in those conditions, but I think to try and do the biggest moves we can is another. Continentseven: Did you go 100% or were you a bit conservative with your moves in these conditions? Jaeger: Ha ha, I think the only way to sail well in those conditions is to go 100%. Sometimes when things are too sketchy you have to use common sense and step back a little, but otherwise I think hesitation and holding back is worse. Continentseven: Did the conditions bring you to your personal limit? 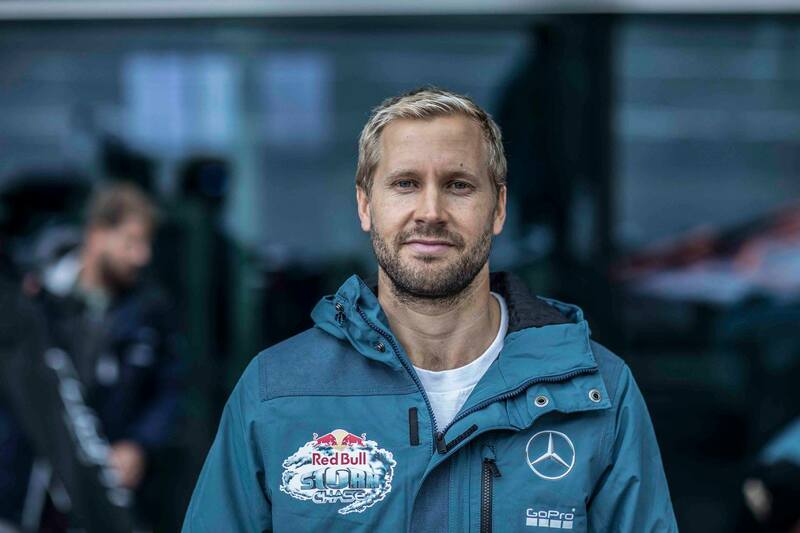 Jaeger: On the final day I thought I may get the biggest jump of my life, but it was so out of control and so windy I could not get my board to sit flat on the water and get the run up I wanted/needed. I was skimming on my fin and just trying not to catapult. It was really difficult to control everything in those conditions. The potential is there to go massive but sometimes you will only get one or two opportunities. I’m not sure what my limit is. I guess we continue learning and becoming better windsurfers and people when we go out of our comfort zone so that bar can always continue to be raised hopefully. 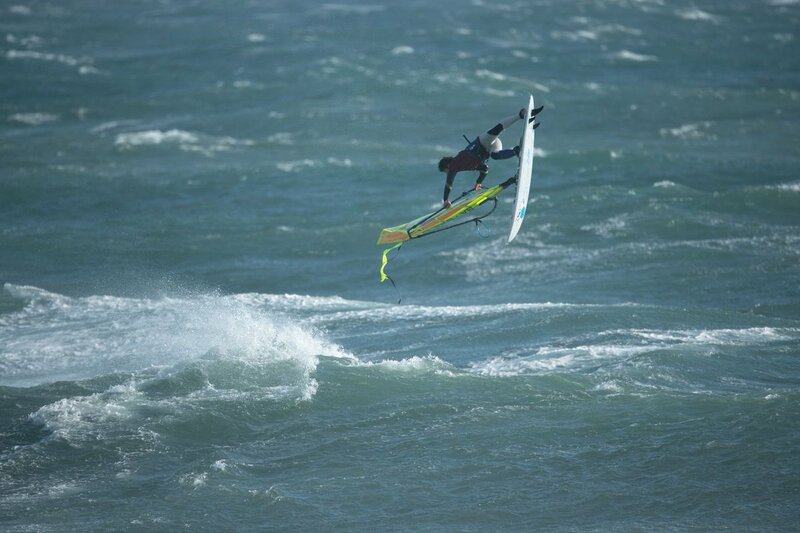 Continentseven: Were these the windiest conditions you have ever windsurfed in? Jaeger: Without a doubt. I could hardly walk to the water. 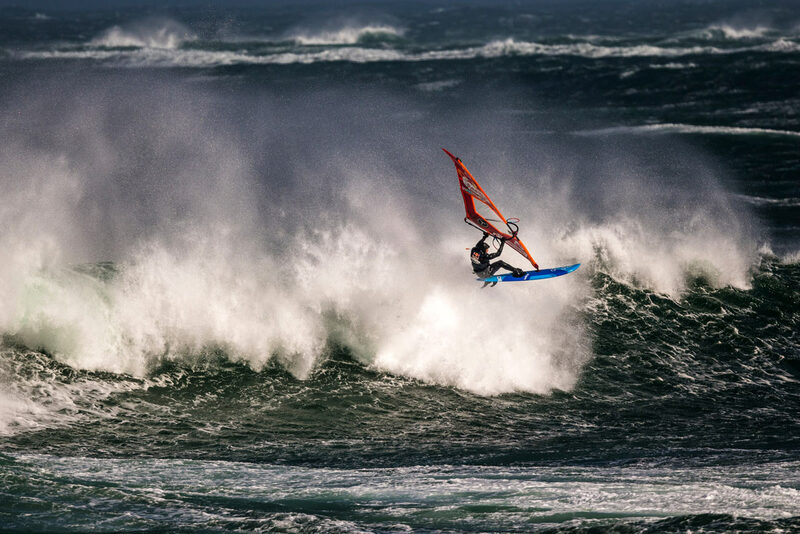 Continentseven: Are you limited as a windsurfer or can you just take smaller equipment? Jaeger: As I said above, I think as we continue to develop our skills and gear the level continues to be raised. Sometimes it’s likely to just be too dangerous or it will stop being fun and when it gets to that stage there’s probably no point being out there. Continentseven: You never experienced snow before, you are living in warmer areas but somehow you could handle the cold and win. Did you expect to win? Jaeger: Nah, not at all. I just wanted to try my hardest, enjoy the experience, visit a new country and learn from the other sailors. If I got the opportunity to do something big I just hoped that I would take it and I feel like I tried to do that. Continentseven: How did you prepare for the competition? Jaeger: In a way I feel like I’ve been preparing for the last 3 years while we’ve waited. I really wanted to be a part of the RBSC when it returned so I’m so happy I got the call up. 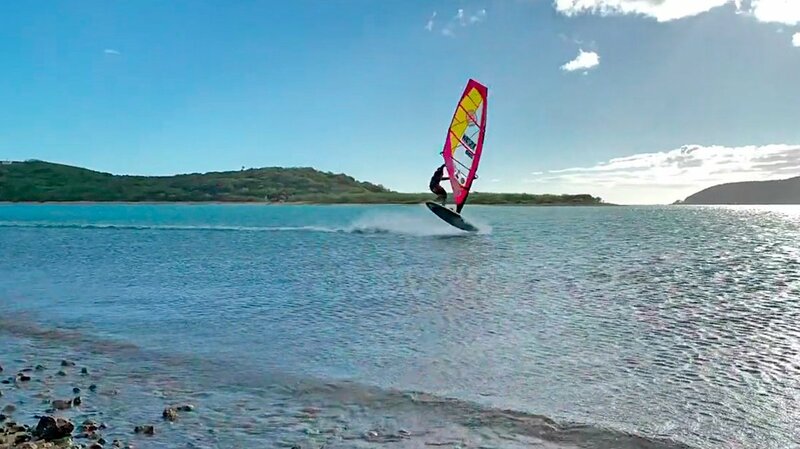 I’ve just been trying to improve my windsurfing and fitness over that time, both for the RBSC but also just for myself and the PWA World Tour. Specific preparation I did was probably just trying to get comfortable sailing in boots, mittens and a hood. Sailing with that gear in warm water does help a little because you can get a feel for it, but really I probably should have just been having ice baths for the last 3 years. Continentseven: Is this victory the biggest success in your career so far? Jaeger: Yeah, this is the biggest win of my windsurfing career and to be honest is something that I really value. 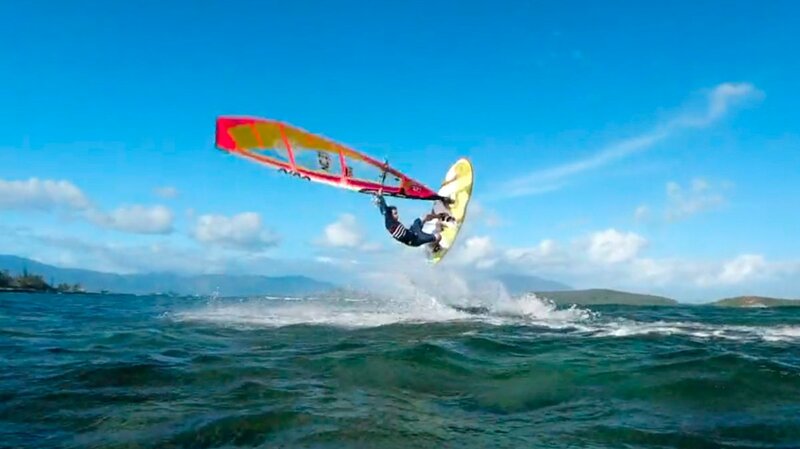 Thomas Traversa is an absolute nutter and I love how committed his windsurfing is, so to win this event after him winning in 2013/14 is awesome, and if I could be regarded as charging even half as hard as he does then I’m pretty happy. 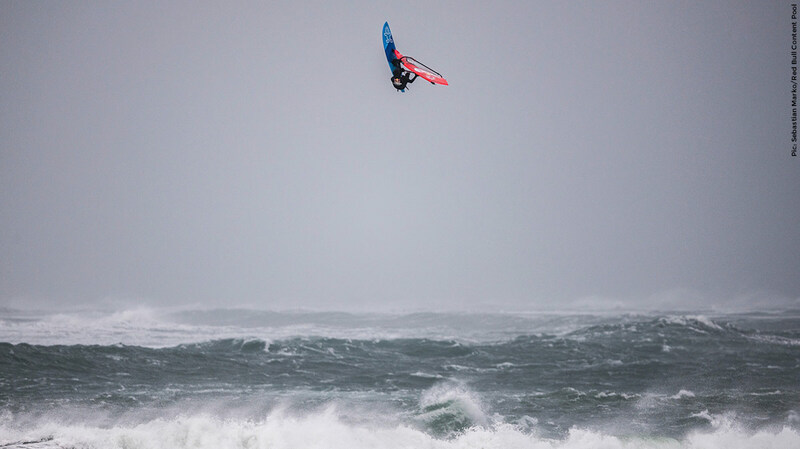 I feel like the RBSC allows for the top windsurfers in the world to showcase what they can do in the gnarliest conditions. Continentseven: Which moves brought the victory in the end? Jaeger: I’m not 100% sure, but I do feel like I got some really good jumps and waves over the 2 days. Variety was really important but to me personally I think my best jumps were a Push Forward, a stalled Double Forward (that I crashed on landing), a one footed Back loop, a stalled Forward and a tweaked Push loop. I feel like I had one of each of those that stood out to me as being high and clean. Waves were difficult. I picked a few of the locals brains about how the reef in Ireland worked and I feel like that helped me a lot. It reminded me of Margaret River and I’ve been sailing there quite a bit over the last few seasons so it was nice to try and relate it to that. I got a couple of decent hits. I wanted to keep trying to go bigger, but it was incredibly tough to ride and get projection on, especially completely maxed out on 3.0m. Continentseven: What was your smallest set you used? Would you bring smaller gear next time, like a 60 liter board and a 2.3 m sail for instance? Jaeger: The smallest gear I used was my 72l Starboard Ultrakode and 3.0m Severne S-1 (which was a custom built for Pozo and this event). You could definitely use a much smaller sail and board in those conditions, particularly if you’re just sailing in and out. I also have a 2.7m Severne S-1 but because the waves were so big I didn’t use it. When your sail is so small it’s very easy for the wave to block all the wind and before you know it you’re getting eaten. I think as soon as waves of a decent size are involved it gets difficult using smaller than a 3.0m or 2.7m. Continentseven: As already mentioned, you said you’ve loved every minute of it. Do you already plan your next cold water adventure? Jaeger: Hmm not sure about that one, need to thaw out – heading to some warmer waters first!